YANGON — One of five lawmakers from Myanmar’s Muslim Rohingya minority who have sat in the country’s national and regional parliaments since 2010 has been barred from contesting the upcoming Nov. 8 national election. Shwe Maung, speaking to the Nikkei Asian Review on Sunday, said he had received an official notice from the government’s election commission that he was not eligible to run in the election – even though he holds a seat in national parliament. He said he would appeal the decision take by the district election sub-commission in Maungdaw, a Rohingya-majority district in northern Rakhine state, bordering Bangladesh. “I have seven days to appeal and perhaps tomorrow I will make the appeal at the Rakhine state regional electoral commission,” said Shwe Maung, who was elected in 2010 as a lawmaker in Myanmar’s lower house, representing the Union Solidarity and Development Party, the military-backed ruling party that recently saw the purge of its erstwhile leader, Shwe Mann, the current speaker of parliament. Shwe Maung said that the local election commission, which is part of the national Union Election Commission, said he was deemed ineligible to contest the election as his parents were not citizens of Myanmar. Shwe Maung disputes this, saying that both his parents received national identity cards in 1952, four years after the country, then known as Burma, won its independence from Britain. “I was born in 1965 and my parents had already been granted national ID cards on Sept. 2, 1952,” Shwe Maung said. “My father was in fact serving as a police officer. Only citizens can serve in the security forces of Myanmar,” the lawmaker continued. “I have to work, even if as an independent, for the better life for all people and their rights,” he added. However the Myanmar government earlier this year revoked the voting rights of most of the country’s estimated 1 million Rohingya, a move supported by the National League for Democracy, the party led by Nobel peace laureate Aung San Suu Kyi. In 2010 elections, which were boycotted by the NLD after Suu Kyi said the poll would not be fair, the USDP won a landslide, although the process was widely criticized as flawed. The Myanmar government does not recognize the existence of a Rohingya ethnic group, saying that most of those who describe themselves as Rohingya are Bangladeshi migrants. Nonetheless, most Rohingya were given voting rights in 2010 and in turn returned two parliamentarians to Myanmar’s lower house of parliament and one to the upper house. Two more Rohingya lawmakers were elected to the regional parliament in Rakhine State. In 2011, after five decades of army rule, a USDP-dominated government took office under President Thein Sein, in turn surprising observers with a welter of political liberalizations and economic reforms. But sectarian violence in Rakhine state in 2012 resulted in the exodus of more than 200,000 Rohingya, some undertaking perilous boat journeys to reach neighboring countries. 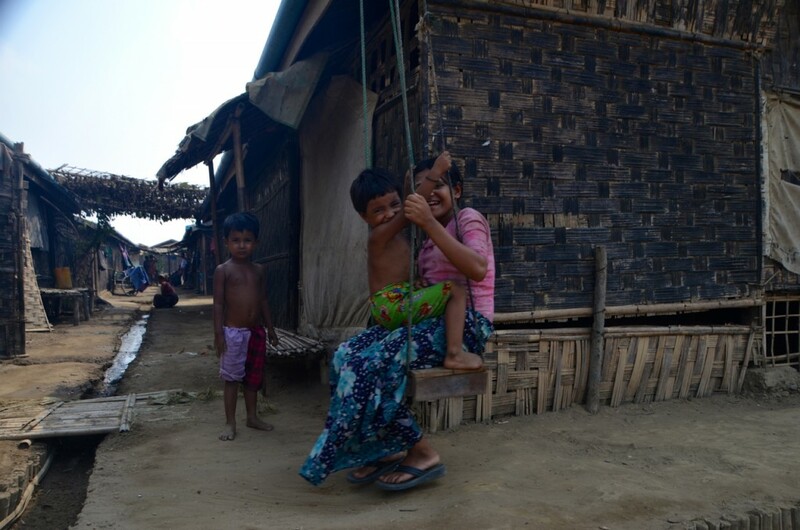 An estimated 140,000 Rohingya are now living in makeshift camps dotting the Rakhine coast. Buddhist hardliners, led by ultra-nationalist monk U Wirathu, have demonized Myanmar’s Muslims, particularly the Rohingya, putting pressure on the country’s political parties to adopt anti-Muslim policies, such as restrictions on interfaith marriage and religious conversions, ahead of the Nov. 8 elections. The Myanmar government has promised the vote will be free and fair, with the European Union and several international organizations set to send observation missions. However it looks increasingly likely that there will be no Rohingya representatives in any of Myanmar’s parliament after the elections. The four other Rohingya MPs have not been renominated by the USDP, while Shwe Maung, who wants to run as independent, will await the result of his appeal.